The wedding party will be staying at Spruceton Inn but don’t worry, we explored the area and found top accommodations. Book soon, places are filling up! We have reserved all 22 rooms for our guests. 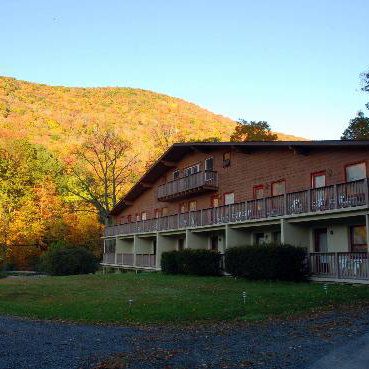 A bus to and from the wedding will leave from Catskill Seasons Inn. Friday night drinks and Sunday brunch will be held in the restaurant at the Inn. Some rooms have kitchenettes and can sleep 4. There is one 3 bedroom suite available that sleeps 6. Call to make a reservation and tell them you’re our wedding guests. Heads up, You will need to send a check to reserve the room. 15 min drive to Spruceton Inn. 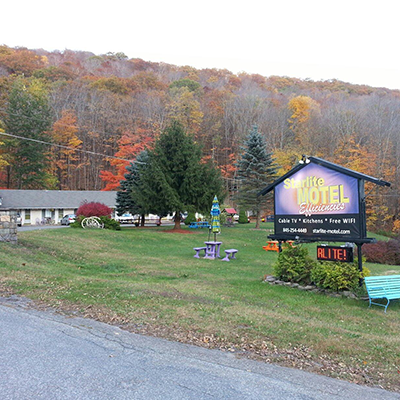 Just down the road from Catskill Seasons Inn, we've reserved 5 of the 7 rooms for our guests in this colorful little motel. The wedding bus will be making stops here as well. Some rooms have kitchenettes and can sleep 4. A 4 bedroom house that sleeps up to 10 is available to rent. Call to make a reservation and tell them you’re our wedding guests. The motel is a 20 min drive to Spruceton Inn. 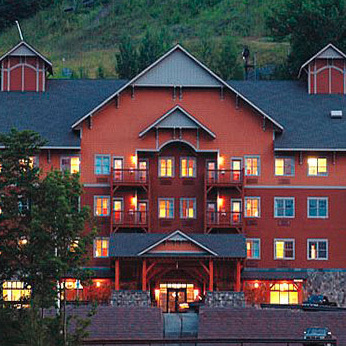 We have reserved a discounted block of 10 rooms at Hunter Mountain. This slope-side ski lodge has all the amenities you could hope for — including jacuzzi suites, bar and restaurant, a full service spa and a heated outdoor pool. Our hold expires August 3rd and the discount expires Sept 3rd. The hotel is a 25 min drive to Spruceton Inn. If you prefer to plan your own adventure, there are many great places to stay. Feel free to contact us for suggestions. Note: most accommodations require a 2-night minimum. You are welcome to hop on the bus at Catskill Seasons no matter where you stay. Jeff, Katie and their 4 cats live in North Brooklyn. They enjoy vegan foods, bright colors, American whiskey, technology, fart jokes and long walks on the beach. Over the past 5 years they have merged their lives, from cats to comics, they don't care what they are doing as long as they are together. This is an outdoor event. Please plan your footwear accordingly. The reception tent will be heated if it is cold outside. We've always wanted to see Japan. Rather than gifts, we would love your help getting us there for a honeymoon in the Spring of 2016. If you prefer to give a gift, we have assembled a small registry at CB2.